And the list goes on and on (just type on the search box of our website “this is the difference” and you’ll see what we mean). Anyway, enough with the intro. Today we look at yet another thing that you should have known but you probably don’t: what’s really the difference between ‘stars’ and ‘planets’? Stars are formed when a cloud of gas and dust are collected into an object due to the influence of gravity. In their core, these objects have extremely high temperatures that allows them to burn hydrogen and undergo nuclear reactions. If that reminds you of the sun, it’s because the sun is actually the star in our solar system, located in the middle of it and with all the other planets orbit around it. So how big should these objects be in order to have these high core temperatures and hence, be classified as stars? Well, according to NASA, their mass has to be 80 times that of Jupiter. Anything more massive than that, is considered a star. Planets on the other hand, are formed not by gas and dust but with other material/leftovers, colliding and collecting together to form them. Planets must do three things: they have to orbit around the sun, they have to be big enough in order for their gravity to form them into a spherical shape and finally, they must be big enough so that their gravity clears away other objects of similar size near their orbit. Planets can be formed entirely out of rock, ice and water (such as the earth) or be a combination of materials and gas (such as the case of Jupiter and Saturn). Of course, these definitions are constantly challenged by scientists and what applies today might not be the case tomorrow. For example, for 76 years Pluto was considered a planet only for it to be considered a dwarf planet in 2006. But hey, at least now you know what’s the difference between ‘stars’ and ‘planets’ in 2018. Sources: What is a planet? 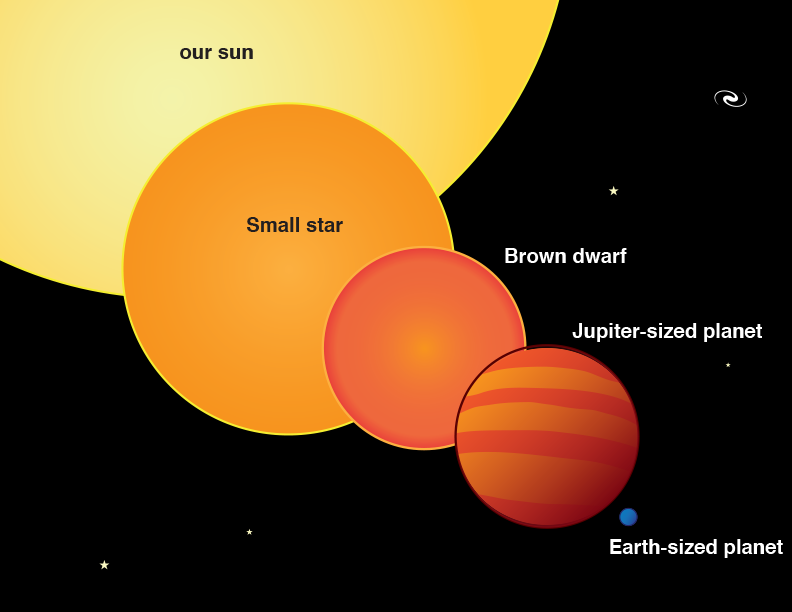 | What is the physical difference between a star and a planet? (Intermediate) | What Is Jupiter?